The best part about this list is that there is a nice cross section of vehicles (economy, bus, truck, motorcycle, luxury, performance) coming our way within the next 1.5 years, so there's going be a vehicle available for nearly everyone. And this doesn't include the new trucks from Freightliner/Enova or my favorite EV of them all, Focus Design's Self Balancing Unicycle which is available today :-). Obviously, as time runs out in the future, manufacturers have less info on what models they'll have available, so that's a good reason why the list is lighter past 2011. The big question will be if they deliver when they say they will...which is a big IF when you're launching products with new technology. Is your City getting ready to support PHEV/EVs? If not, you've got less than one year before several auto manufacturers aggressively start selling PHEV/EVs in the US. Although it might seem simple to hang a EV charger on the wall, there's far more to it than that. How much different depends on how forward-thinking your city officials are, as cities that have a sustainable vision will create and execute a plan that ensures that EVs will be adopted quickly and smoothly. If you haven't visited the Rocky Mountain Institute's (RMI) "Project Get Ready" website yet, you should check it out ASAP. This smart group of people have amassed a nice tool set, including plans, calculators, and best practices that will get you started off on the right foot. To help get you started, here's a link to their getting started guide. RMI has also partnered with several cities which are committed to the successful rollout of EVs...and you can learn from their experience by talking to their project managers. How is your utility planning to support PHEVs/EVs in this area? How does your utility see the grid impact of PHEVs/EVs in the area over the next 5 years? Will our grid be at risk by supporting PHEVs/EVs? Do you see a peak capacity problem? How important is it for your utility to control/limit service (Demand Side Management - DSM) to PHEV/EV charging stations in an area to limit risk to grid? What number of Level 2 charging stations does your Electrical Utility consider it to be a large enough installation that you would like DSM implemented? 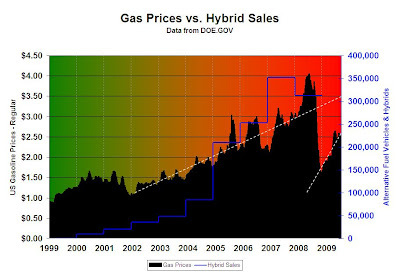 Does your utility plan to change pricing or rate structure based on assumed PHEV/EV adoption? When does your utility plan to implement Vehicle to Grid (V2G) in the area? Does your utility plan to introduce Solar Powered charging stations in the future? Does your utility impose any steps on permitting/installation for a residential Level 1 or Level 2 charging system (separate meter, verifications, etc.)? What about a commercial installation? Does your utility plan to incent businesses of certain sizes to utilize charging stations with DSM? Given that electric utilities have the most to gain by a transition to PHEVs/EVs, how does your utility plan to manage the successful adoption of them? How will the adoption of PHEVs/EVs affect your disaster planning/response (evacuation)? How do see the adoption of PHEVs/EVs in your area (commercial and residential)? How are you planning to support PHEVs/EVs in this area? Are you planning to deploy a fleet of PHEV/EVs? When? What type? Etc. Do you plan to adopt/encourage/mandate PHEV/EV busses, trucks, taxis? Do you have a project manager assigned to help coordinate EV Infrastructure deployment between stakeholders (utilities, gov’t, business, residents)? Do you plan to encourage/mandate installations of EV charging infrastructure in new construction? Are you applying for any grants (e.g. ARRA) for help with EV Infrastructure? Are you following RMI’s Project Get Ready guidelines? Does your area have any goals for PHEV/EV adoption to help with GHG/Pollutant/Carbon emission reduction? Do you plan to encourage businesses (fleets) or residents to adopt PHEV/EVs? Does Ford's announcement of a EV-To-Grid System help it gain ground on EV Rivals? 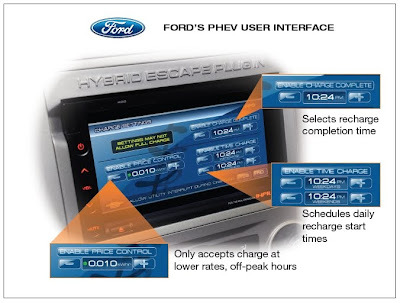 On August 18th, Ford Unveiled 'Intelligent' System for Plug-in Hybrids to Communicate with the Electric Grid. This was major announcement for Ford as the company prepares to significantly enter the PHEV/EV market in the next two years. The big question is, does this announcement help Ford gain ground on EV Rivals? The short answer: Yes, it helps somewhat. Ford, like every large Electric Vehicle company, needs to work with DOE's Clean Cities and Smart Grid to ensure there is somewhere their customers can charge their new cars, pay for charges, and not take down the grid doing it. Smart Charging via a Smart Grid has huge features, especially in terms of preserving/controlling our electrical system when EV's are everywhere. It's in our nation's best interest that don't do something stupid like introduce a new transportation technology that takes down the county's electrical grid. ...after all: no watts, no GDP. That's why the DOE is promoting Smart Grid and Clean Cities to herd suppliers and governments into a common vision for supporting renewable energy and EVs. This includes auto makers like Ford to make sure their cars can talk to electrical grid with a common socket and communications language. It also includes planning for the charging infrastructure which will eventually replace the gas pump in our lifetimes. The impact of adopting EVs will be a positive change for the climate, auto industry, and consumer. All this said, Ford is smartly doing what other manufacturers are doing...they have to make it easy for us to fill up and pay for the "gas"...all without knocking out the power grid. After all, we get real cranky when a power outage takes out the A/C for 2 hours. How will Wireless Charging technology fit in with Electric Vehicles? The idea of wirelessly transmitting power has been around for over a century, thanks to Nikola Tesla. Back in 1893, Tesla first demonstrated to the world the ability to wirelessly illuminate phosphorescent lamps at the Chicago World’s Fair. Since then, the technology has been slowly maturing in research facilities. The focus of using wireless power transfer over the last 10 years has been charging small devices like your cell phone or wireless headset directly on a charging pad (e.g. www.wipower.com). However, a company in Massachusetts called www.WiTricity.com is gunning for applications that are separated by a few feet…and one of their applications is charging electric vehicles! The video shows WiTricity’s CEO, Eric Giler, at a TED Conference showing off his cool technology. Even Nissan, who has announced a bold strategy to concentrate on EVs has announced that they are actively working on a Wireless Charging technology. Read about it here at the Guardian. Convenience, just drive up and charge! Whether it’s in your garage, at a traffic light, or on one of our city roads that becomes a parking lot during drive time commute, you wouldn’t have to do anything to get a charge. Very cool! Don’t be surprised to see this convenience depicted in a SciFi movie soon. Could be integrated with Smart Grid. Like other network level chargers, this technology could be integrated into the Smart Grid to provide utility control and accounting of how much charge and which vehicle got the juice…all automatically. Efficiency: To get high efficiency out of wireless charging, the receiving device either needs to be very close to the transmitter and/or the transmitter must be able to focus the energy directly on the receiving device. WiTricity is claiming 50%+ efficiency now for close distance charging and NASA saw 82% efficiency from the JPL experiment, so it’s possible that this might not be a limiting issue. Cost: While the technology might be cheap to produce, how much to install this technology in roads, garages, and vehicles? This includes routing power cables to transmitters. Standards: Technology like this must be standardized to be widely adopted…especially considering the potential installation costs. Power Scale/Charge Time: Most of the companies today have demonstrated wireless power transfer of just a few watts. Will the technology be able scale up to pump 7,000 W (Level 2) into your vehicle so it can charge quickly? Value: Assuming Corded Power is 100% efficient, will the cost of the technology, installation, and the inefficiencies to wirelessly transmit power be worth the inconvenience of plugging in your vehicle? For instance, if the technology is only 50% efficient, then you’d be paying double to power your vehicle wirelessly…is it worth it? You can find a few companies making wireless charging systems for EVs on my EVSE Vendor Page.